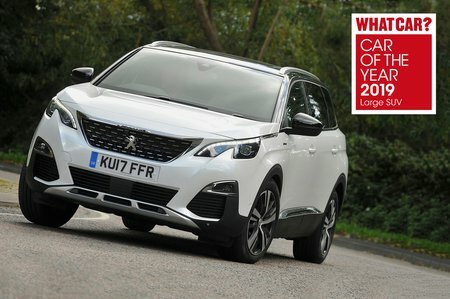 Peugeot 5008 1.2 PureTech GT Line 5dr 2019 Review | What Car? You might think that the entry-level 129bhp 1.2-litre engine would be too small to power a seven-seat SUV, but it’s actually surprisingly peppy, eager to rev, and plenty good enough to meet most people's performance aspirations. It’s frugal, managing 36mpg in our True MPG real-world economy test, quiet and available with a choice of a six-speed manual or automatic gearboxes.